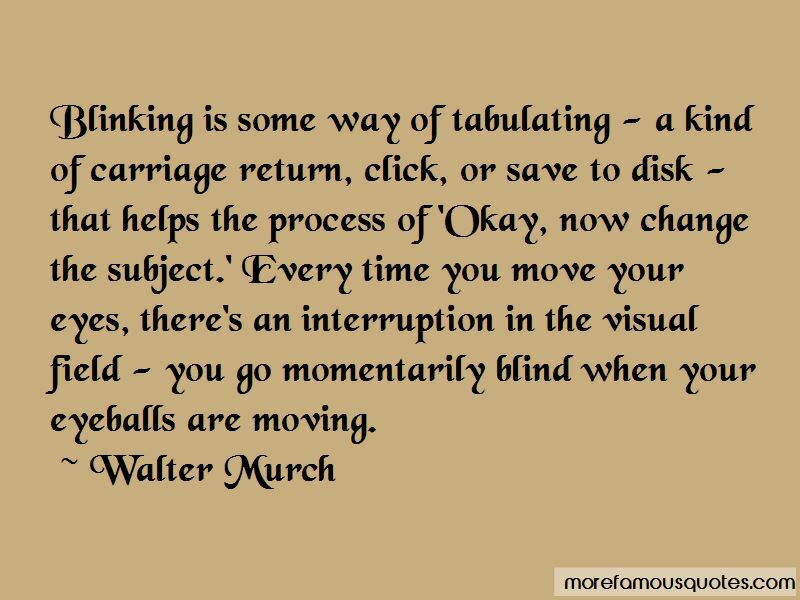 Enjoy the top 30 famous quotes, sayings and quotations by Walter Murch. 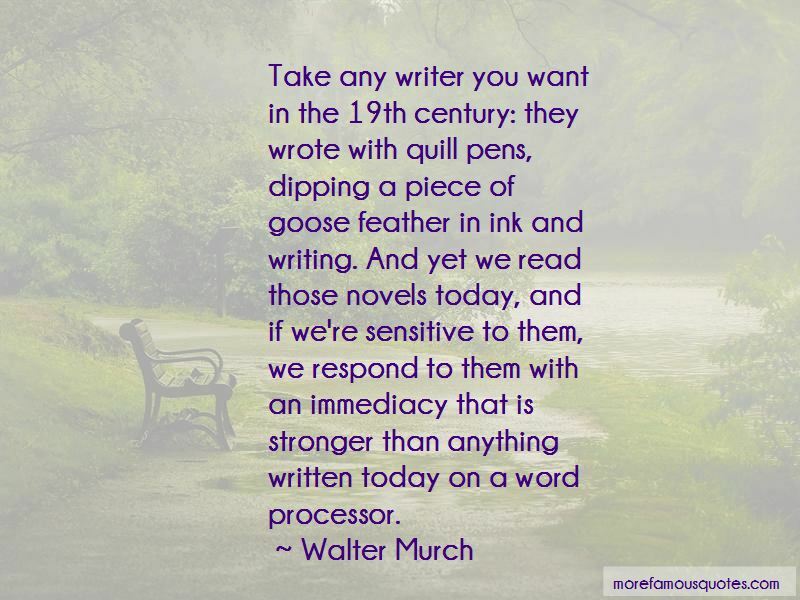 Writing is a process of discovery of what you really do know. You can't limit yourself in advance to what you know, because you don't know everything you know. Once things have passed and become irretrievable, we tend to see them with a hazy, golden glow. I believe every editor should stand to edit. That's just my particular soapbox. Some things are so delicate and depend on such fine, delicate work. One frame in one direction or another can make such a difference and it is, in that, like brain surgery. Sound is a huge influence on peoples' attention. 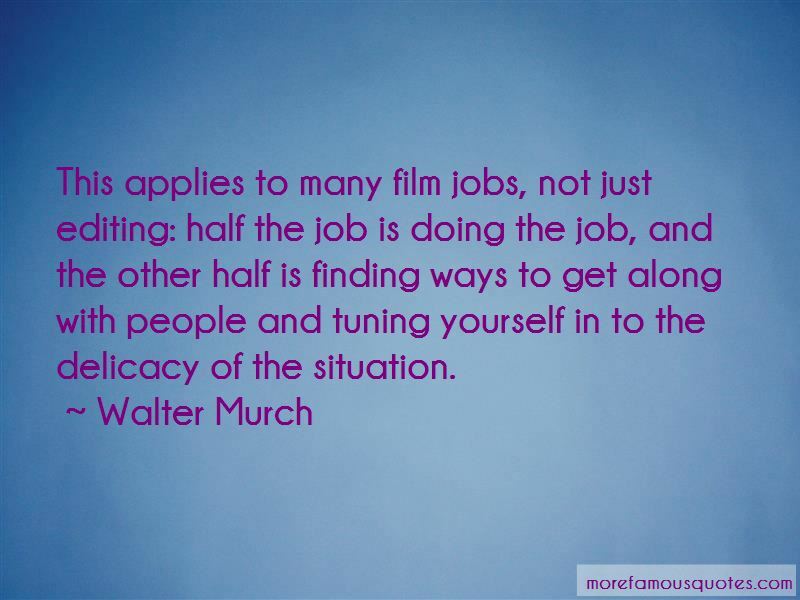 Want to see more pictures of Walter Murch quotes? 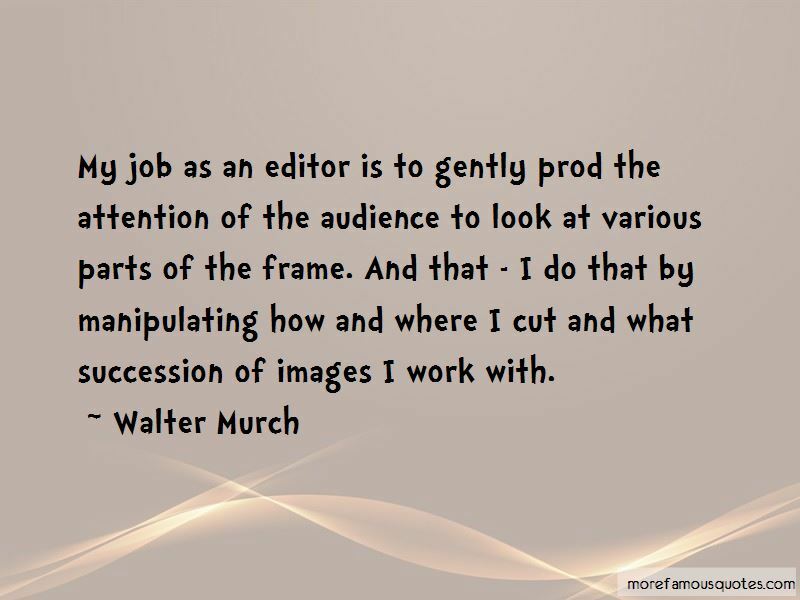 Click on image of Walter Murch quotes to view full size.